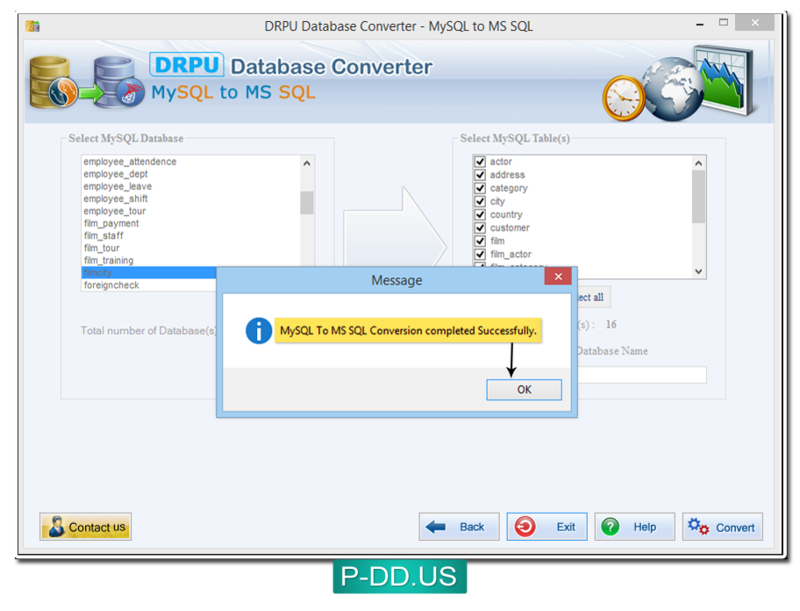 Choose the table attribute that you want to convert such as Convert table(s) definitions only, Converting view and Skip converting indexes then press “Next” button to proceed. 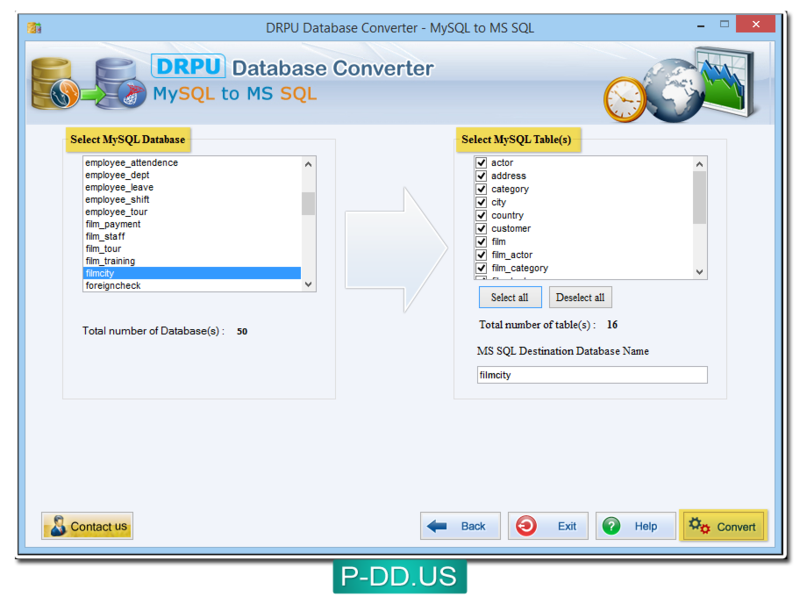 Select MySQL Database and select required or entire MySQL table(s) and then press “Convert” button to begin database conversion process. Select views from list and add using “Add” button. Now click the “Confirm” button to continue process. 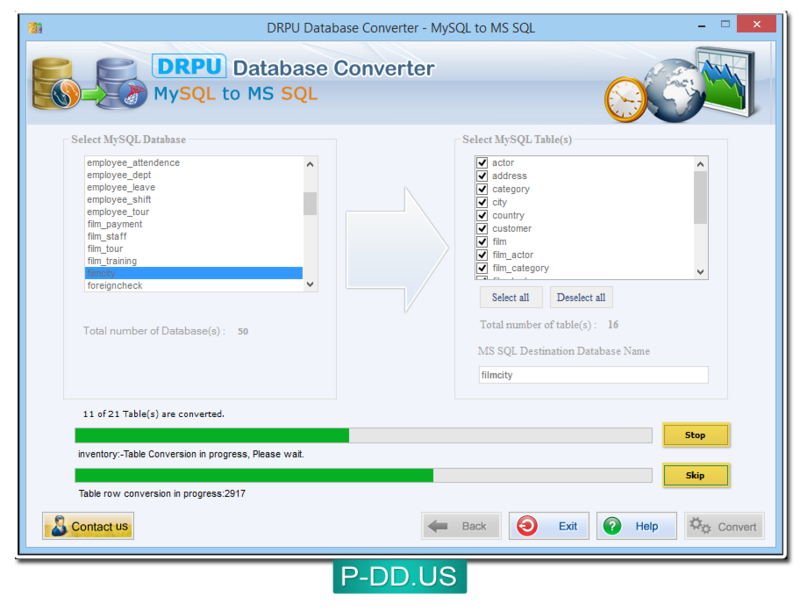 Progress bar shows current status of database conversion process. 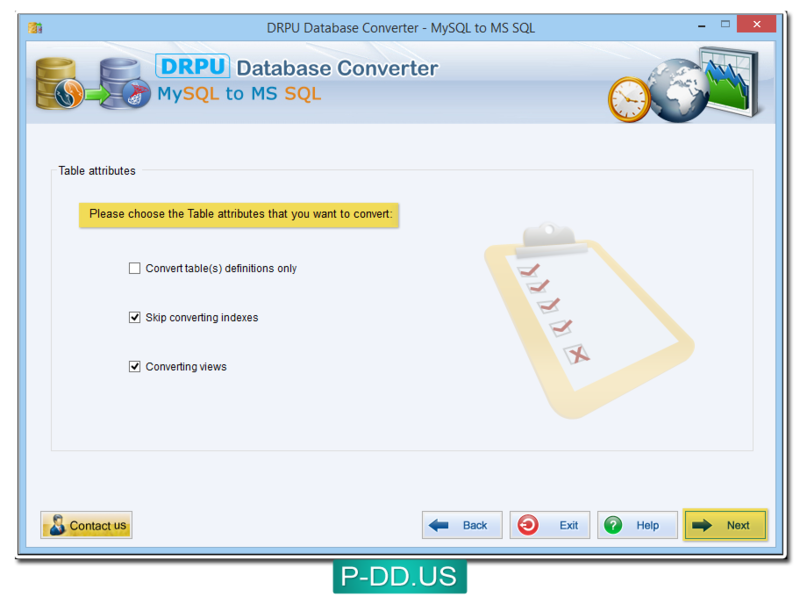 Use “Stop” button to abort ongoing process and use “Skip” button to skip any particular table from conversion process. 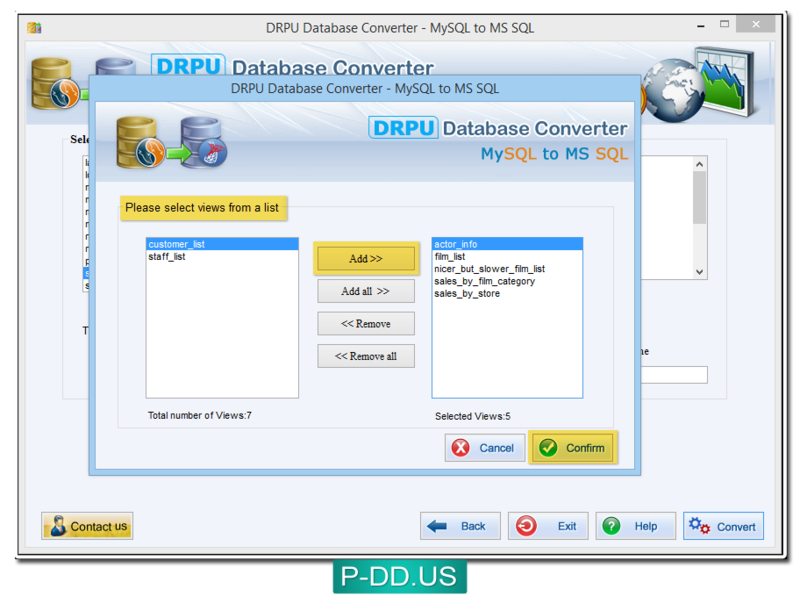 Database conversion process has been completed successfully.